By Caz | January 2, 2019 | This post may contain affiliate links, which means we may receive a small commission, at no cost to you, if you make a purchase through a link. Read our Disclosure. My brother first told me about prepaid travel money cards a couple of years ago. He and his wife used a cash passport for their year long trip through South America and raved about how easy and convenient it was. We all want ease and convenience when travelling, especially when it comes to money. We also want to reduce our bank and transaction fees as much as possible. Traveller’s cheques are too restrictive, and then there are fees and inconsistent low exchange rates to consider. International transaction fees can be hefty when using credit cards. I know because in our business our expenses often alternate between US and Australian dollars. The conversion fees quickly add up. If you are travelling and using your credit card for purchases, you’ll be shocked to discover how much you handed back to the bank. You’ll also be enraged at the amount you will pay in ATM withdrawal fees. It can be as much as $15 per withdrawal. Do this a few times in a month and you are letting go an extra night or two in your favourite destination. But, I did not want to take the banks word for it, I need to research myself. Be careful. Do thorough research. For our recent trip to Thailand we decided to use a prepaid travel money card for the first time. 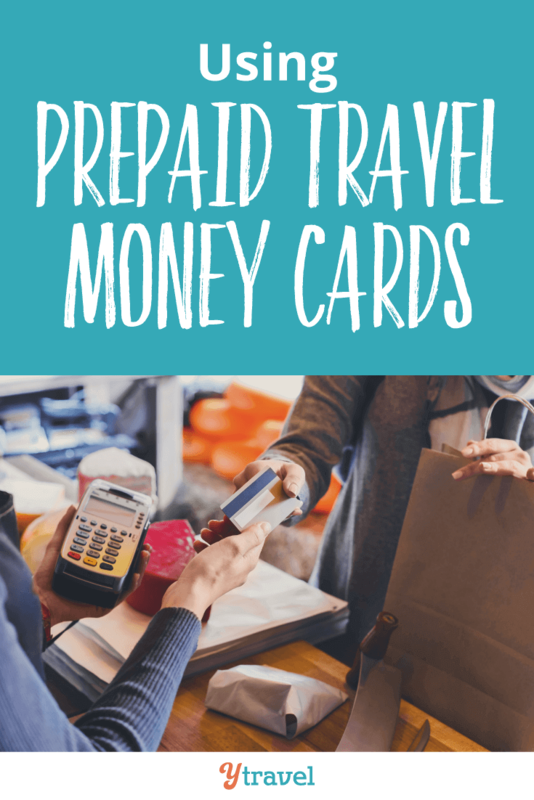 We did our research online to find the best prepaid travel money card in Australia. You have to be really careful of hidden fees and high charges. 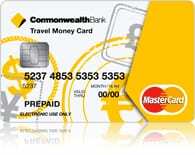 We spoke to the Commonwealth Bank about their prepaid travel money card and were happy with what they offered. Based on what I discovered the Commonwealth Bank and ANZ prepaid travel money cards were the best options for travellers and both fairly comparable. We recently discovered the Travel Money Oz cash passport at Sydney’s Travel Expo which has no ATM fees, but, after talking with a rep I discovered the currency conversion fee is 6%. (This is not listed in any promotional materials or website). They also have a low exchange rate. We chose the Commonwealth Bank card because they had no currency conversion fees, whereas ANZ did on Australia currency only. They are also our primary bank so we found it easier to stay with them. Use them wherever you see a Visa/Mastercard sign. Load different currencies on them before you leave home. It’s prepaid, so if you budget right you know what you are spending. A safe way to carry money – protected by pin and signature and can easily be cancelled. Can access you money via multiple currencies (great for round the world trips). You can cross convert between currencies. The ability to lock in an exchange rate. I had a friend who did this when the USD exchange rate was really good! An excellent strategy for securing more money for nothing. Monitor your balance and transactions online. Reload fee: Usually a commission or flat fee. Currency conversion fees. Be careful as some may only charge this if you convert your AUD currency stored on the card. If it is another currency they won’t. How many days required before reloading money is cleared. (we got caught out with this in Thailand. Needed extra money urgently, BUT, had a three day transfer process, ouch). Can you lock in the exchange rate? Tip: It might be a great idea to talk with your own bank first as you may get some extra perks for being a regular customer. Due to our relationship with Commonwealth Bank, they waived the $15 purchasing fee for the prepaid travel money card. YES!! That is 3 massages in Thailand. Worked out our budget for our trip to Thailand and put that amount on the card. Decided how much cash we felt comfortable carrying around with us and left the rest in our room safe. We made that lump sum withdrawal twice in two weeks. It is so important to do this. You don’t want to withdraw daily as those fees will add up, even though they are only $3.50 at a time. The less you give to the bank, the more you have. Being in Thailand we did not have much opportunity to use the credit card side to it. This might be a consideration for you as to whether it is worth getting the prepaid travel card or not. We went ahead because we wanted to save on the ATM withdrawal fee. It all adds up! Plus as we were using the same bank the conversion rate would be the same. We got caught out when we had to pay a deposit for our accommodation booked online. We could not pay for it with the prepaid travel money card, so we had to use our credit card and suffer the transaction fee. Put more cash on the card than you think you’ll need on your trip, just to be sure you won’t need to wait the three day period to top it up. When you return to Australia, use any remaining balance the same way as you did on the road. Use it as a credit card or as cash at EFTPOS machines. Avoid taking money out at the ATM so you don’t pay any fees. Always have a back up source to access money in case things go wrong. Place a budget buffer on the card i.e. for when you go over budget, because you will. To reload via online banking (Netbank) you needed to have a code sent via SMS. I never put data roaming on my phone overseas as the charges are ridiculous. The other option was to reload via phone bank. Again, unless you have Skype set up, expensive overseas calls will add up, as will the inconvenience of finding a phone and being put on hold!! To reload your card via Bpay takes 3 working days. In the world of instant banking I find this insanely STUPID. I certainly was not happy when we unexpectedly had to add more money (which can happen when travelling). We were left stranded on a weekend with no money in Thailand. NOT HAPPY. (Apparently this is a BPay thing rather than a Commonwealth Bank thing). Because loading Thai baht onto the card before we left Australia was not an option, the exchange rate given to us by the Thai bank when withdrawing was not as good. As Thailand is such a popular destination for Australians, I think the Commonwealth Bank should have this as a currency option. The ANZ prepaid travel money card does have Thai Baht as a currency loading option. 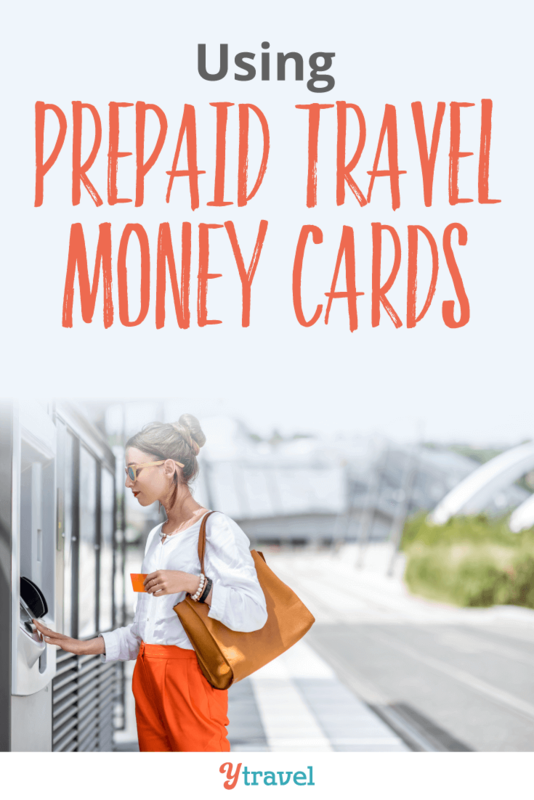 For a trip that involves multiple destinations, I think prepaid travel money cards are a great option. For shorter trips, in countries such as Thailand, where the credit card facility options are less, you might want to consider other ways to access money overseas. It still might end up being a better way to save on bank fees, but you will need to research carefully. Lastly, by using your travel money card and not your credit card for purchases you are missing out on amassing frequent flyer points if you have a CC attached to a points program. Something to think about. Please share your experiences with prepaid travel money cards. Any tips you have accessing money overseas? Looking for more money tips? Click to read our travel budget post. Hi Caz! Have you heard about the Schwab Checking Account? It’s an online banking system that has unlimited reimbursement of any ATM usage. No minimums, no fees. I’m trying to do some more research on it, but it seems like it’s a viable option for traveling too! Sounds good. Would have to research more as I don’t know anything about it. Just watch for any hidden fees and do some thorough research. Awesome!! Thank you so much Aisleen for sharing some great tips for the UK readers. I currently use the CaxtonFX Global Traveller ‘anywhere’ card. They don’t charge to withdraw money or to use the card in a transaction, any charges that do occur come from the owners of the machine you’re using. The only thing I’m not too keen on is the exchange rate which is set to 2.75% below the prevailing interbank rate. I have only tried topping the card up online but the money usually transfers within a couple of hours. Excellent Lee, thank you for the tip. I’m not too keen on the lower exchange rate that a lot of these seem to have. Can I ask where this card is from? a particular continent or is it global? I signed up on the website and had it delivered to my address here in the UK. I top the card up in pounds sterling (there aren’t any other currency options) and the current exchange rate is worked out every time I use the card. I should point out that you ARE charged for both transactions and withdrawals if you use the card in your home country (In my case the UK). Great! Thanks so much Lee. Really helpful info for others reading this post. We are currently using Citibank Visa debit card. It is an Australian based account that has no ATM fees and no currency conversion fees. The only time you pay a fee is to the ATM owner you are withdrawing from which is nearly impossible to escape. We found while travelling South East Asia, in most capital cities there is a Citibank ATM , so we can withdraw money in the local currency without paying any fees at all. As the card is a Visa debit card we have not had any problems withdrawing cash from any cities we have visited. The number one reason we went for this card/account was that we were using our own money and could limit the amount we have in the account at any one time. Maybe you might want to look into it for your next trip. Some great tips there and a very fair analysis of the pro’s and con’s. I’m fortunate in that one of the UK card issuers has a very competitive exchange rate so I always do well shopping abroad. My worry is what happens if a prepaid card is lost or stolen? At least a credit card can be cancelled, with usually limited or no liability for fraudulent use if reported in time. Call me paranoid, but I also restrict nearly all ATM use to bank machines located at banks with security cameras. I also use one linked to an account with modest funds, in case of hacking. You can cancel a prepaid card straight away as well. They are also protected with a pin so it cannot be used at an ATM. I understand your concerns and I think these are great steps to put in place to protect yourself. Thank you, Caz, but you are dealing with a true paranoid here! What happens if a magnetic reader placed on an ATM (reading the PIN) has been used to drain the entire value of your prepaid card? (There’s seemingly no end to how to hack advice on the web.) What protection have you then? Again, with a credit card your loss may be limited to USD $50.00 or whatever. I do not know how to answer that question!!! I would ask the provider of which ever one you choose to go with, maybe they have some sort of protection in place. I don’t know but definitely something to think about. Thanks for bringing it to my attention. Thanks, Caz! 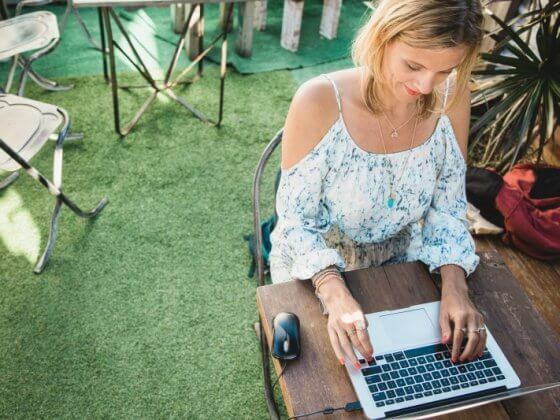 There is an alternative for residents of Canada and the U.S. and perhaps elsewhere, which does not require either good credit or a credit history. We can obtain a “guaranteed” credit card that has a credit limit equal to the amount in a linked savings account. For example, a person with CAD $800 in the account would have an $800 credit limit on the card. This card enjoys the same limited liability for fraudulent use as a regular card. At least one bank Capital One offers this in both Canada and the States. Oh yes, I remember these from when we lived in the States. WE got one, a great option particularly if you want to start building your credit history. Thanks for the tip! Prepaid money cards sounds very convenient especially for frequent travelers, you’ll just have to make sure to load more than your expected travel expenses so you don’t run out of money. Can you recommend a travel card or similar to be used throughout South America? The banks only seem to do cards for the main currencies. Given each country in South America has their own currency and we will be travelling to most, I am wondering what our best options are for getting money out. Hi Caz I’m about to look at getting a card for myself ! I’m pointing toward the commonwealth banks travel card as I really like what you have listed ! and i’m currently a member there anyway although I’m doing the full trip of asia and dont understand what the best currency to upload is should I just stick with AUS dollars on it ?? or should I upload some of the places i’ll be in currencies and how does it work ? CBA allows you to load Vietnamese Dong or Thai Baht. So if you are going to those two make sure you load their currencies, if not stick with AUD. Thanks caz I am going to vietnam and thailand does it matter what what order I put the money on my card ?? or will it auto take that currency out when I go to that country ? It will auto take it out. We are using the Commbank Travel card through America and also in a fashion in Chile (although can’t seem to withdraw Chilean Pesos at the moment, might try another bank). We reload via BPay and it only takes about an hour to clear. No three day wait. The trick to transfer from a commbank account. I have a commbank account that I use for savings and I transferred straight from this account to the travel and card and hey presto… US cash available in about an hour. Great site. Thanks for the insight, very helpful. I am looking into getting a prepaid card just for cash withdrawals. I have a great credit card for overseas transactions but it carries hefty fees and interest rates for cash withdrawals…. as does my debit card. I have found a few that claim to be free to withdraw cash but as I’m travelling to SE Asia will I be allowed to withdraw dollars or will it only allow me to withdraw local currencies. In which case will I be charged? You can only withdraw local currency from an ATM. If it says no fees, then you shouldn’t be charged but just double check directly with the bank offering the card. Do not know where this comment fits but my experience with a cash card was not very good.I loaded 500,000 Yen onto a NAB Card to use in Japan only. Withdrew 150,000 Yen in cash and paid various bills at restaurants and store purchases. On last day looked up balance . 267,000 Yen. Went to pay all this against hotel bill. Rejected. Contacted Cardservices told to pay 258,000 Yen . This worked and told balance 1018 Yen. Seems money is disappearing as on my calculatrion there should have been 10,000 Yen remaining.. Rang on my return to Australia next day. Over the next 4 days 21,468 Yen appeared on my card. Apparently all my purchases had somehow been converted into US dollars then back to YEN. Now I have 21,468 Yen I do not want. Where did the didcrepancies come from? And I can tell you it has nothing to do with the Merchant. Note that various banks offer cash cards as to onther financial institutions but in the end they are all managed by MasterCard. So my problem must be applicable to all cards. It would seem if you use the card for purchases it is impossible to use all your money. I feel I got my money back because I complained. Cardservices claim it would correct itself but may take up to 7 days. Thus to use all your money on your card you must not use it for purchases less than 7 days before leaving that country. Seems like the banks and MasterCard are making a little sugar by making us take money home we then have to convert back to our default or home currency . So if any of you out there think you have had the same problem please comment.. I thought that the Commonwealth travel card was a good deal until I looked closer. If you are trying to use another currency (e.g. I have AUD on my card but need to with draw ZAR) the commonwealth bank does not charge a conversion fee HOWEVER THE BANK IN SOUTH AFRICA is free to charge you whatever their rate is, which is highly variable between banks. None of their paperwork states this and it is incredibly misleading. Yes, you have to do your research. IT doesn’t matter what card you use in another country they are free to charge you what they like to use their ATM to withdraw money. Unfortunately you can’t avoid this. If you book your hotels through Bookings.com. 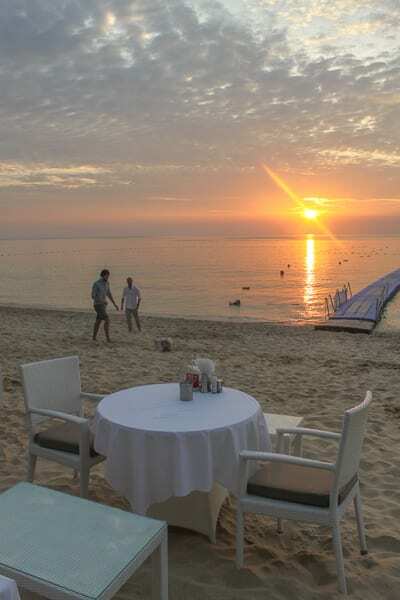 You only require a credit card number to book the room and you can pay cash when you arrive, you can also cancel up to the day before the booking starts. I have used them for 10-12 years and never had problems. You can top it up just by normal online banking transfer now like you would your day to day accounts. Only with commonwealth though I believe. And it’s only a recent thing. Question, will the card automatically withdraw from the local currency if you have multiple currencies on there?